Grays Harbor Farmers Market & Crafts Fair. Broadway at Market Street. Large farmers market and new and used merchandise, lots of garage sale items, collectibles, crafts. Food available, restrooms. c/p Farmers Market, Rt. 1, Box 333. 98520. (206) 538-0696. Weekender Swap Meet. 6200 - 296th E. New and used merchandise, clothing, home furnishings, household goods, imports, garage sale items, farm items, collectibles, crafts, produce. Food available, restrooms. (206) 847-9675. Kennewick Flea Market. 310 N. Benton. Hours 9am-5pm. Ample parking. Indoor market with approximately 75 dealers. 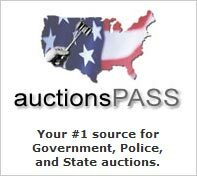 Collectibles, coins, jewelry, country primitives, new & used merchandise. Food available, restrooms, h/a. c/p Bonnie Turcott, (509) 586-9993. Rendezvous Flea Market. Ample parking. Antiques, furniture, lots of nice collector booths here including Pacific northwest Indian and Eskimo art, jewelry and artifacts, black powder supplies and accessories, new and used merchandise. Food available, restrooms. (509) 784-6124. Swap Shop Drive In Flea Market. 17325 Highway 99. Ample parking. New and used merchandise, garage sale items, home furnishings, clothing, imports, surplus, farm items, collector booths, crafts, produce. Snack bar, restrooms, h/a. (425) 743-2294. Pasco Farmers Market. Downtown, Highway 12 & East Lewis Street. Hours 6am-4pm. Ample parking. Average weekend attendance 5,000. Approximately 250 dealers. One of the area's largest markets. Nice mix of merchandise. Seasonal market, March-December. This marketplace has a good selection of antiques and collectibles. Lots of new merchandise, sportswear, house wares, auto items, new and used furniture. Food, restrooms, h/a. Camping available. Space from $5. per day. c/p Farmers Market, Box 550. 99301. (509) 547-5035 or 547-7057. Fremont Sunday Market : Since 1990, A block long European-style out door street market that goes every Sunday rain or shine all year round. Hours: 10am to 5pm. . Approx 150 dealers. Featuring new and used merchandise, collectibles, bygones, artisan crafts, select world imports, garage sale treasures and vintage clothes. Space from $30 to 40. Pub, restrooms, h/a. Overnighter Swap Meet. 6611-296th East. Used merchandise, garage sale items, collectibles. Food available, restrooms. Outside market with camping available. c/p Forest Haag, (206) 847-9675. Swap & Shop Flea Market. Starlight Drive In Theater. 84th Street. and S. Tacoma Way. Hours 8am-4pm. Ample parking. 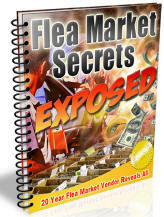 Indoor/outdoor market with approximately 300 dealers. Booths full of nice antiques and collectibles at this market. Crafts and fine art. Good selection of Indian and Eskimo items. Nice fishing collectibles here. New merchandise, sportswear, electronics, cookware. Indoor market is open throughout the week. Snack bar, restrooms, h/a. c/p Jack Cobb, 3827 S. Tacoma Way, 98499. (253) 588-8090 Fax (253) 588-8929. Yakima Swap Meet & Farmers Market. Central State Fairgrounds. 10th Street & Nob Hill Avenue. Ample parking. Antiques, furniture, lots of collector booths, good selection of Pacific northwest collectibles, new and used merchandise, crafts. Food, restrooms, h/a. Indoor and outdoor space available from $8. Tables $2. Reservations recommended. Overnight camping nearby w/full hookups. License not required. c/p Yakima Swap Meet, P.O. Box 870, 98907. (509) 454-0212.